When it comes to financing, Xtreme Marine London works with one of Canada’s largest marine finance broker, DealerPlan! They are in tune with the banks’ (and in some cases, non-bank alternatives) special programs. It may even be one offered through the manufacturer. They are happy to discuss your ownership options, no obligation. This will enable you to obtain a competitive loan package that suits your needs. If you’re unsure about your specific needs, a marine financing expert can help you navigate those waters. They can also complete a loan application with you and get it processed quickly, sometimes in a matter of hours! By choosing a broker who understands the needs of boat owners, you can be sure that your finance plan will fit your budget and your lifestyle. 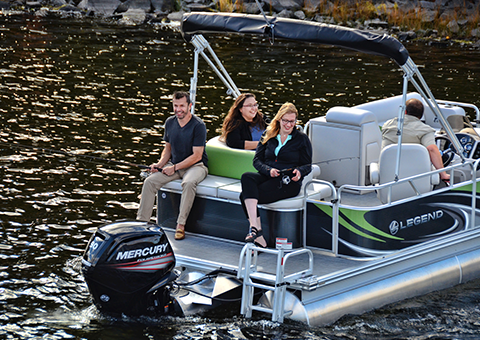 More importantly, you’ll be the proud owner of a new boat that will ultimately be the source of many fond memories. Check out DealerPlan to calculate your loan payment or to complete an on-line application. Just click on the logo.